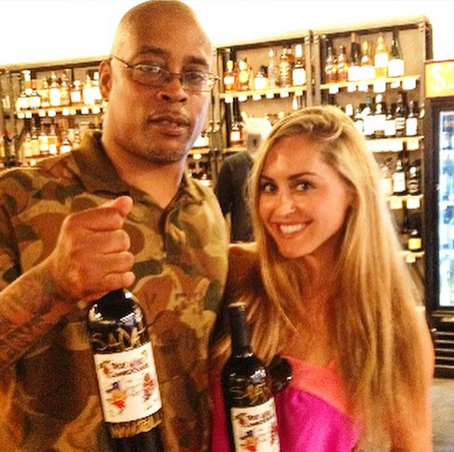 “We drink wine too!” Sadat X proclaims as he raises a glass of the signature wine he created with partner Will Tell. The Brand Nubian rap veteran and “True Wine Connoisseur” has taken his irreverent wine-appreciation web series from the Internet to street in the form of a red blend. Tonight, Sadat X and Will Tell launch their Riesling, delightfully named ‘The Middle Finger’ at Bed Vyne Brew in Brooklyn. The wine is available from purveyors all over New York City, including Blue Ribbon Bakery, Black Label Wines on West 20th or via the grape-soaked lushes themselves, online. Keeping up with Sadat X is harder than finding the wine, due to his nonstop touring, but the Internet makes even that possible, too. Follow him @SadatX on twitter or instagram to stay current on his music, tours and wine escapades.